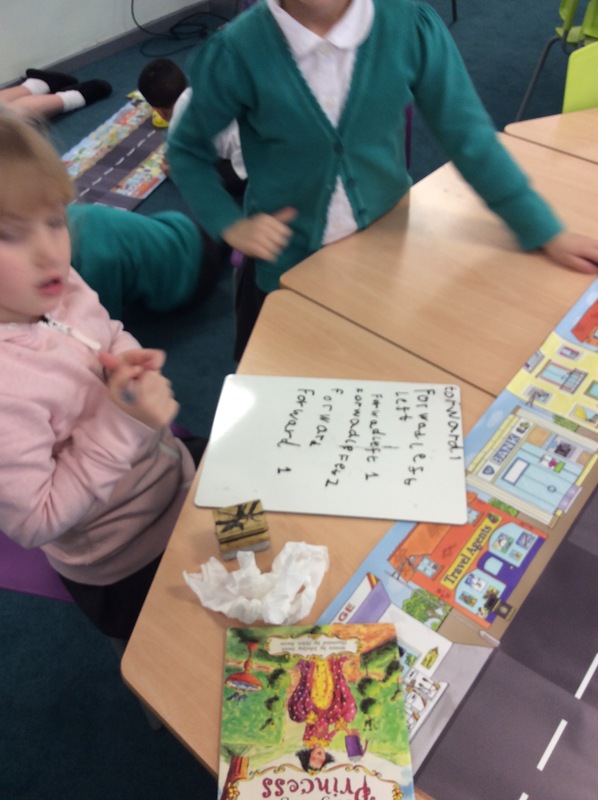 Writing instructions for position and direction of objects. 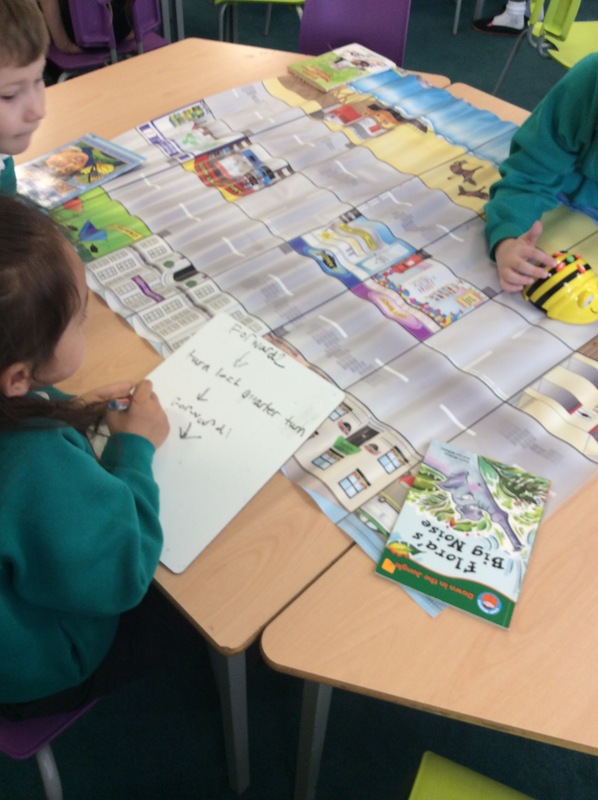 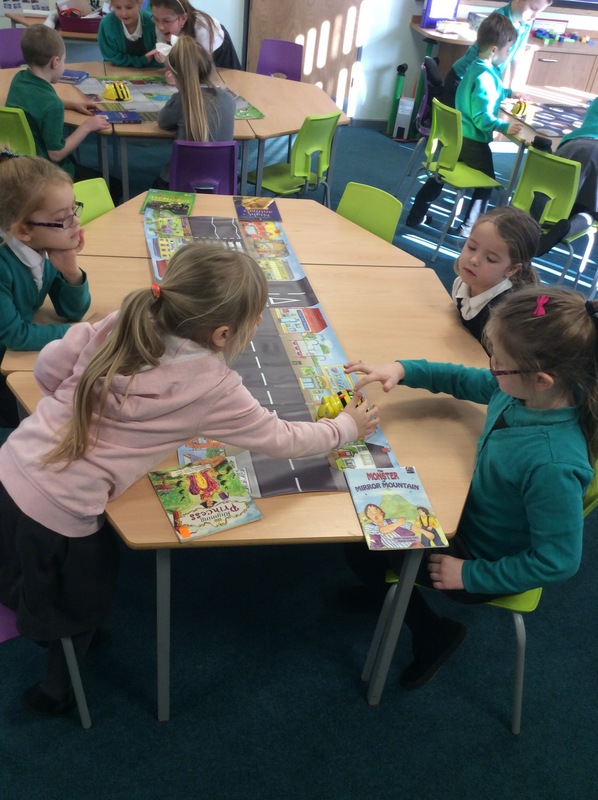 We used the bee bots and wrote instructions using directional language. 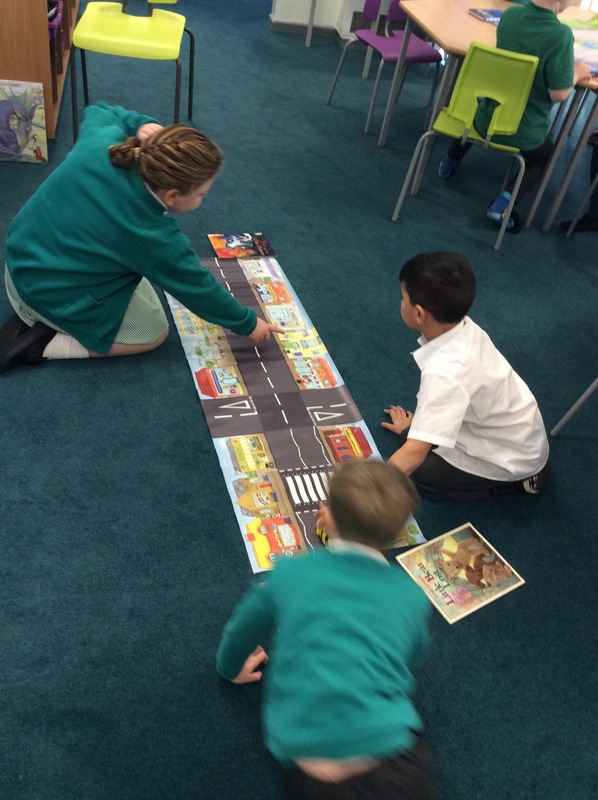 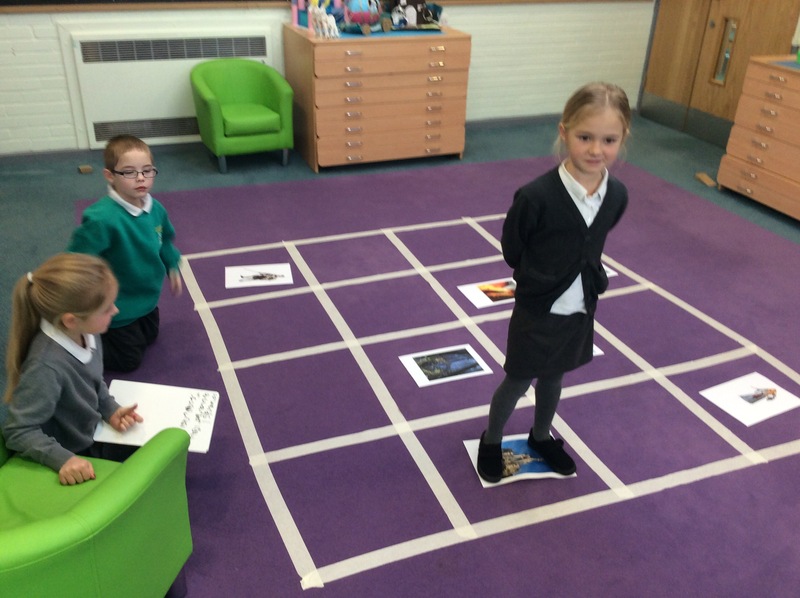 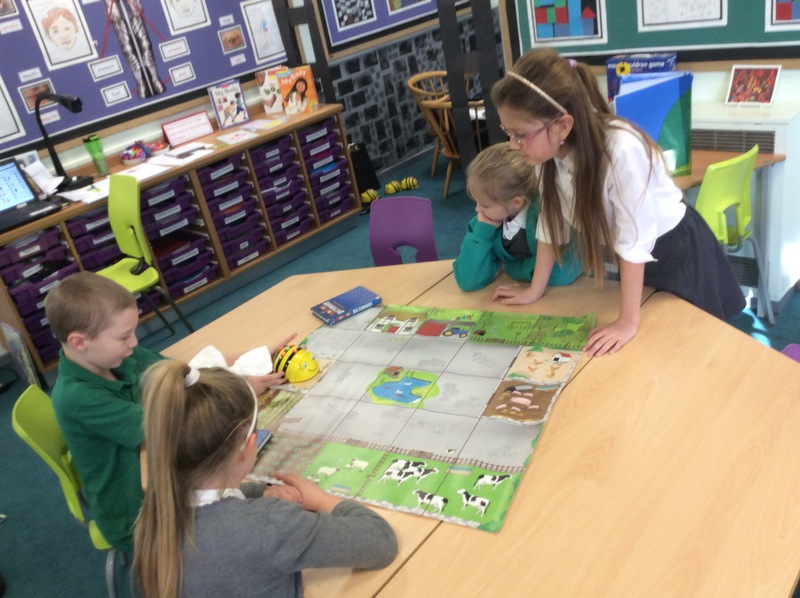 Some children were the bee bot and had to direct one another to different positions on the large grid.